Left to right: Natasha Hays, Brannae Browne, Le'Andrew Vaughn, Adarius Barber, Brandon Browne. All victims of a string of homicides in Kansas City, Kansas. In late August last year, Shanta Barnett got a call from her 15-year-old daughter Brannae Browne. Natasha Hays, the mom of one of Brannae’s friends, had been killed in a drive-by shooting, she told her mom. Barnett warned her daughter to be careful. Days later, on a Friday after school, Barnett dropped her daughter off at a cousin’s house in Northeast Kansas City, Kansas. About an hour later, Brannae was sitting on the porch when shots rang out from the street. With a bullet to the back, Brannae was soon dead. The alleged shooter was the 15-year-old son of the woman killed three days earlier. Michael Adams Jr. was charged with criminal use and possession of a weapon, and first-degree murder in Brannae’s killing. He is in jail awaiting trial. The murder has been categorized as retaliation. Police are familiar with this type of violence. Kansas City criminologist Ken Novak says retaliation drives a lot of violent crime, especially gun violence, in our area and other cities. “Often, it’s much easier to retrospectively examine violence and see how things were connected,” Novak says. It’s getting ahead of it and preventing future violence that is the challenge — it’s nearly impossible to know when a counterattack will happen. Even though her daughter’s alleged killer was taken into custody quickly, Barnett doesn’t exactly sleep easy. She still doesn’t know why. Why her daughter? Retaliation isn’t necessarily revenge against a targeted individual. That’s why, Novak says, that first “why” often ceases to matter. “Retaliatory violence is fueled or motivated by a feeling that the individual needs to make a situation right,” he says. This is the fifth story in KCUR's ongoing series The Argument in which we explore the emotional forces behind many of the murders in the Kansas City area. Calling the police would generally be considered a way to make a situation "right,” but, he says, where there is a lack of trust in the criminal justice system, there’s a higher likelihood that an individual or group will take matters into their own hands. “This problem starts to build upon itself,” Novak says. Police can’t conduct adequate investigations if people don’t trust them, and people don’t trust them because of past inadequate investigations. It’s a cycle of violence that spins out of control as arguments and shootings pile up, getting further and further away from the initial violence that started it all. And it's a pattern that’s proven true in the KCK neighborhood where Brannae was killed. On Aug. 6 this year, Le'Andrew Vaughn was getting ready for his senior year at F.L. Schlagle High School. He had been working as a host at a restaurant at the Legends, and he was saving up his money for a new pair of shoes. He told his mom he wanted to go buy them the night before his first day of school. But he never came home. He and his cousin, Adarius Barber, 16, were shot to death in their car while driving on the 6100 block of Haskell Avenue. Le’Andrew’s mom is the older sister of Natasha Hays — the woman who was killed at the start of this string of murders. Brannae and Brandon Browne. 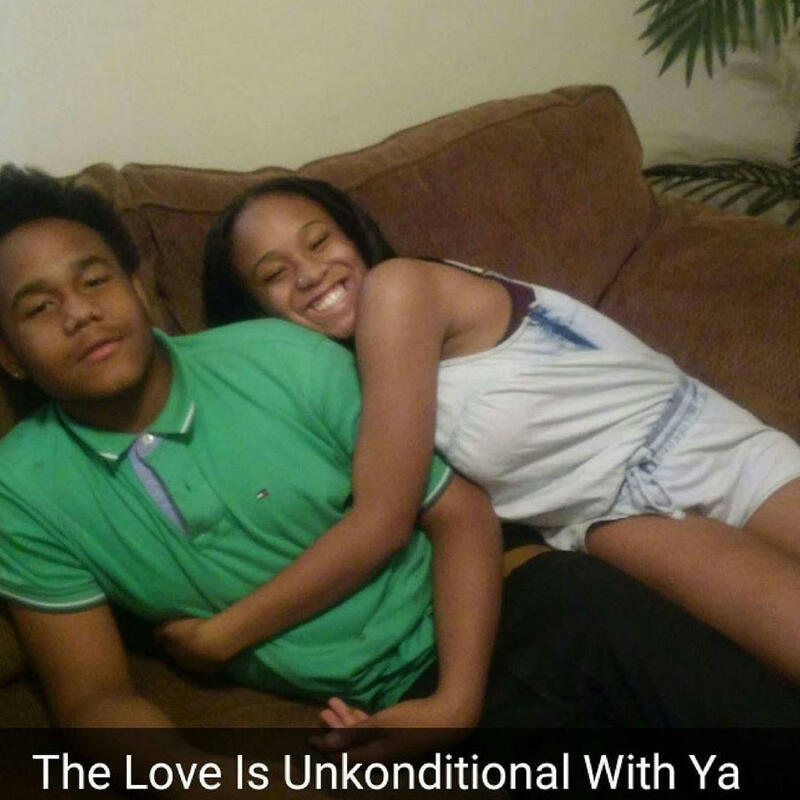 Brannae posted this photo on Facebook last summer while Brandon was in the hospital after being shot by a stranger, according to their mother Shanta Barnett. Since then, both have been gunned down. Ten days later, Shanta Barnett, Brannae’s mother, says she found bullet holes on her house on the 2000 block of N. Tremont Street. When she went out to show someone, her son Brandon Browne, 15, followed her out. Suddenly, shots flew from a car idling at a nearby stop sign, Barnett says. Her son was hit. One young mother. And four children under the age of 17. This string of violence has taken five lives in less than a year, and no one seems to have any answers. Police and prosecutors in Kansas City, Kansas, can’t comment on these cases because the investigations are ongoing. “What I will tell you is that it is extremely clear that one has affected the other, and that if we do not get ahead of this thing more lives will be lost,” says Wyandotte County District Attorney Mark Dupree. He says the police are working tirelessly to get as much information as they can to prevent further violence, but they need the community’s help. Dupree says he understands the lack of trust in the criminal justice system, especially among minorities. “It is not one that has been kind to them,” he says. That being said, he says the “no-snitching” mentality has to go. “Not knowing the baseline for the retaliation ... puts law enforcement in a place that is extremely difficult because they don't know when to expect it, except for when a body drops. Then we know something is coming,” Dupree says. As for how many tips the Kansas City Kansas Police Department has received regarding these cases, dating back to Aug. 30, 2016? Zero. 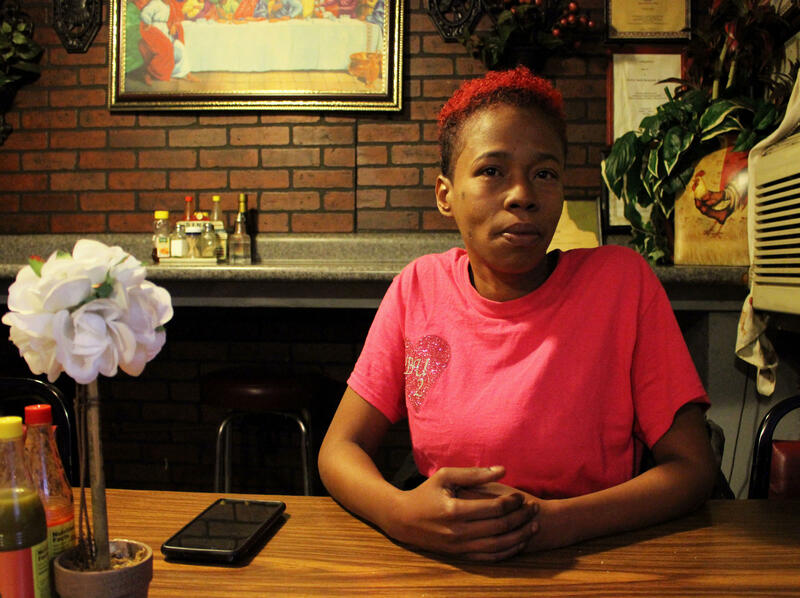 Shanta Barnett lost both of her children to drive-by shootings less than a year apart. Barnett's hand-made shirt says 'BBUx2,' but she says it's not affiliated with the so-called gang that teens in KCK have started on Facebook. She can’t help but think some parents know their children are a part of this. She says they should think twice about what protecting their kids really looks like. “You think I wouldn't rather go see my kids behind a jail cell if I could? If that was my choice between them being in a graveyard and a jail cell, I would choose a jail cell,” she says. But, she doesn’t have that choice. “Whose child is going to be next? Because I lost both my kids to senseless violence, I guess I'm the only one that's noticing our kids out here shooting and killing each other,” Barnett says. Kansas City, Kansas Police consider these homicides "gang-related." Two groups have cropped up since August 2016. “Tasha Gang” for Natasha Hays, and “BBUx2” for Brannae and Brandon Browne — they are open about their affiliation on social media. But these affiliations mean different things to different people. The families of these victims — they don’t get it. “It’s way out of hand,” Shanta Barnett says. Crystal Hays agrees. She says she can imagine the appeal of a "gang" for these teenagers — the need for a sense of family, especially with their friends being taken so violently. But this, she says, isn’t right. "If you're so committed to getting justice for these people, tell what you know," Hays says. In the meantime, everyone seems to agree — this violence is far from over. Editor's note: This story has been updated to clarify information about community response to the murders. Also, a photo has been removed. 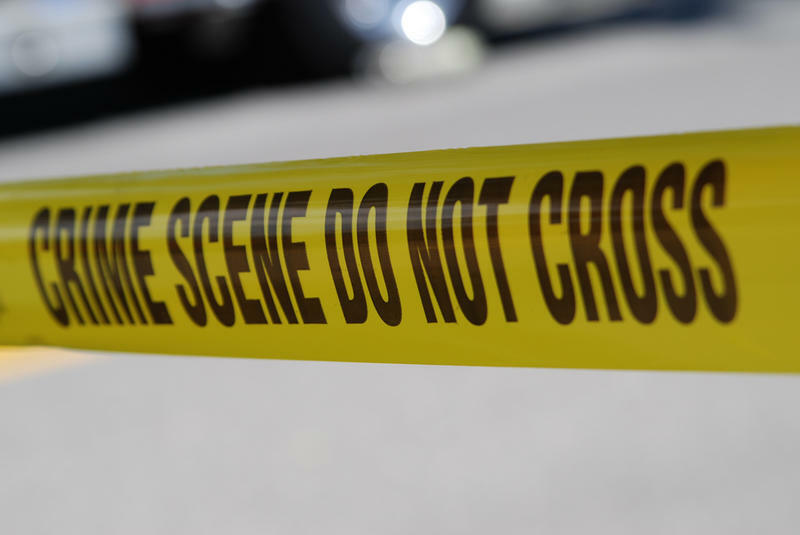 Wichita Police have identified the woman found dead in her home Tuesday morning as 42-year-old Perla Rodriguez. She was known for her work in helping abused women in the community. Police determined Rodriguez died of blunt-force trauma. WPD spokesman Officer Charley Davidson says her boyfriend has been arrested and taken into custody for first-degree murder.